Tackling Welfare Reform in the Round is a series of roundtable discussions which aim to find collaborative solutions to mitigate the impacts of welfare reform. 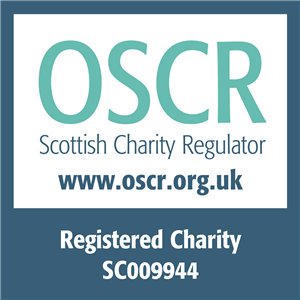 The roundtable events in Edinburgh are jointly hosted by SCVO, EVOC and Inclusion Scotland. The first event took place in December 2015 and was well attended by representatives from across the Third Sector and the City of Edinburgh Council. During the event, Calum Ogden from Citizens Advice Edinburgh presented on the impact that welfare reform has had on advice services. There was also a presentation about partnership working by Gillian Ritchie from the City of Edinburgh Council. Gillian presented examples of successful partnership working including the partnership between the Department for Work and Pensions and the City of Edinburgh Council to create a Delivery Partnership Agreement. Why is welfare reform a problem? What do we want to tackle? What would make welfare reform easier to deal with? What good work is already happening? There were many great ideas circulated and groups were eager to put their plans outlined during the discussion into action. For further information about the topics discussed, please see the event notes. Recently our Financial Inclusion team has seen some staff changes. Simon Hay has been with the project from its very first days in March 2014 and has helped build our way of working. He has worked with numerous of our partners and will be sorely missed. We are very sorry to see Simon leave the project but are delighted that he is moving on to a new opportunity. “Working as part of The Recovery Essentials Project has been very special for me, we have helped people in difficult circumstances access benefits and resources that they may not have otherwise been able to. I feel proud to have been involved in a service whose purpose has been to support and empower some of the most vulnerable people in Edinburgh to ensure that they receive all they are entitled to during these extremely trying times. It has been a wonderful learning opportunity and an overwhelmingly positive experience. I will sorely miss my colleagues – a lovely group of people who work extremely hard and who have been responsible for making the Project the success it is. Since our last newsletter we have welcomed three new team members, including Elena Ugarte, who has been doing fantastic work at the Serenity Café and Big Issue. Elena gained her Social Work degree in Spain and has completed an NVQ III in Health and Social Care in the UK. Over her ten years of experience working in the Third Sector, Elena has worked with various client groups to provide advice regarding welfare, housing options, debt and care plans. “Since April 2014, I have been required to learn about the welfare benefit and reforms which affect EU nationals in particular. Throughout my experience working in the UK, my Spanish has proven to be very useful for case work, not only with Spanish speaking clients, but also with those from Romanian, Italian, Portuguese, and even Moroccan backgrounds. That things be made fairer for all not just some. We considered the concept of basic income. But what if new powers don’t bring about change? With more of the same and not things innovated. Who knows post-election whose the power will be? Is to look at the powers we have but aren’t using. Please come along, we’d love to see you!